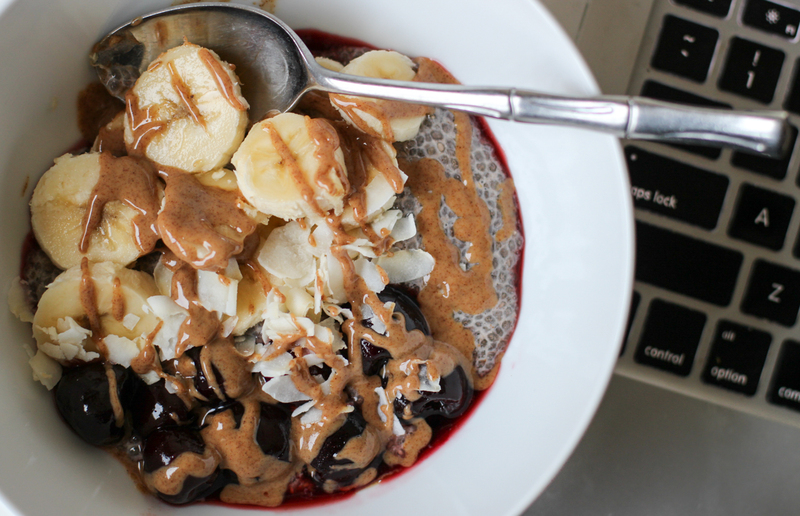 This Whole 30 Chia Pudding couldn’t be easier – and it’s so delicious! Ever since I posted my Whole30 grocery list, I’ve been blown away by the feedback you guys have been so willing to share with me! All of the enthusiasm, encouragement, suggestions and corrections have all been amazing!! 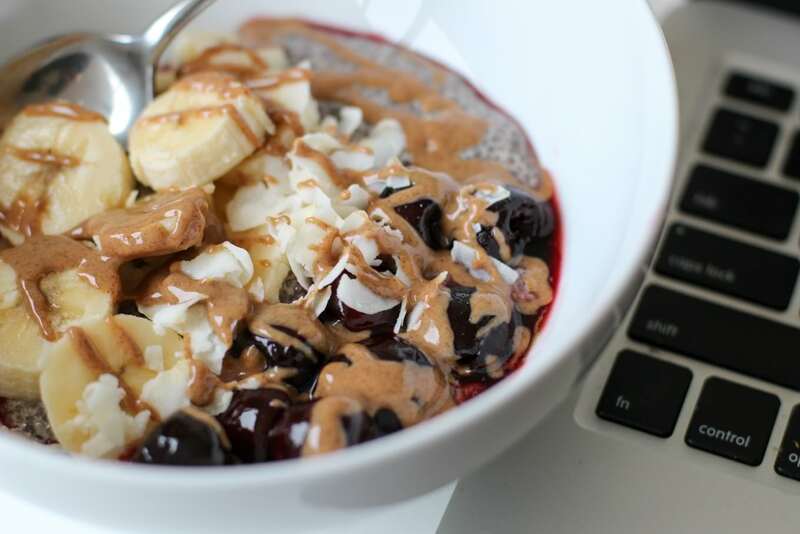 For example, when chatting about breakfast options, a few of my followers suggested chia seed pudding as an alternative to eggs in the morning. I got SO excited that I made it right away. 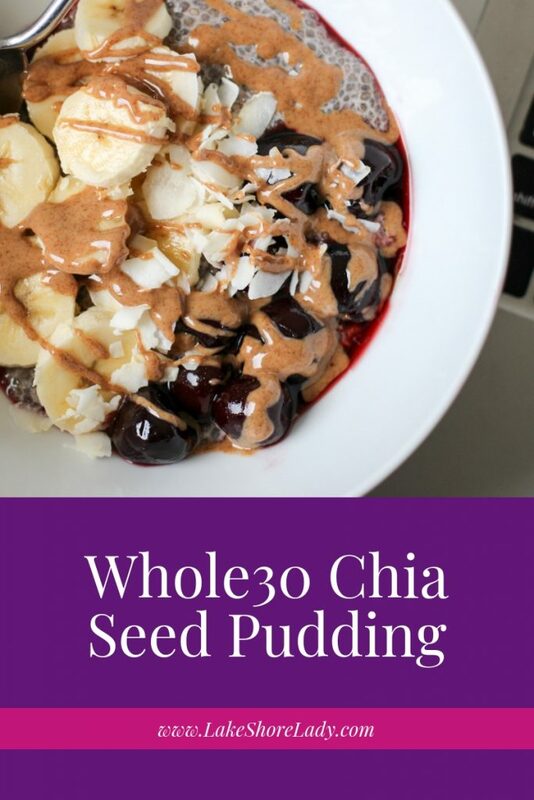 I’ve made chia seed pudding before, but I’ve either made it like a dessert or with oats – both of which are not allowed on Whole30. Speaking of not allowed… I’ve read that some people even think that this version is a no no, but since you guys already know that I’m making my own rules (Whole15 babyyyy), I decided to go with it. ? 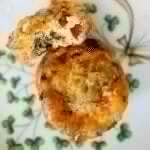 Plus, this is a great recipe for ANYONE, whether you’re following the diet or not. 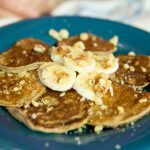 This is super simple, but obviously you can have a little bit more fun if you aren’t doing Whole30! I will say that cherries, almond butter and coconut flakes are pretty awesome toppings, though. I would eat it like this any day. 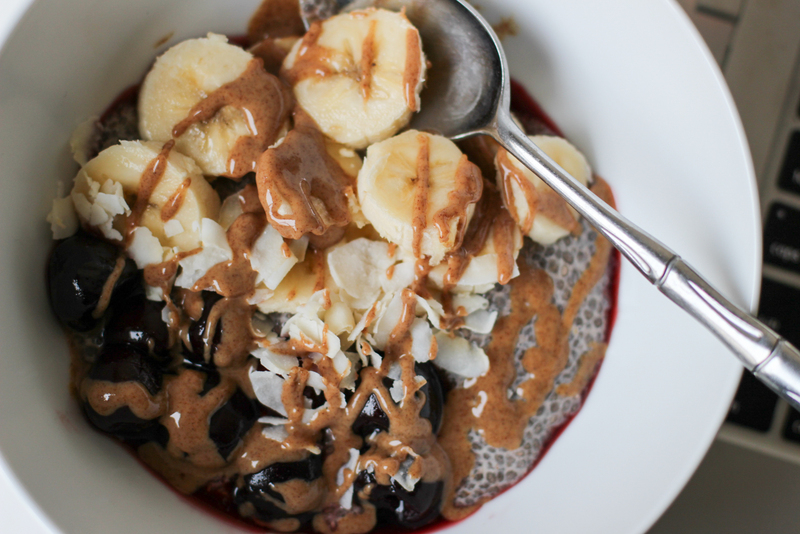 Now, if you try this recipe and you get hooked on chia seed pudding, #1… YAY! And #2, you have to try my decadent Chocolate Chia Pudding. You make that version by combining chia seeds with coconut milk, cocoa, and honey. Awww yeaaa. Whisk chia seeds, almond milk and cinnamon. 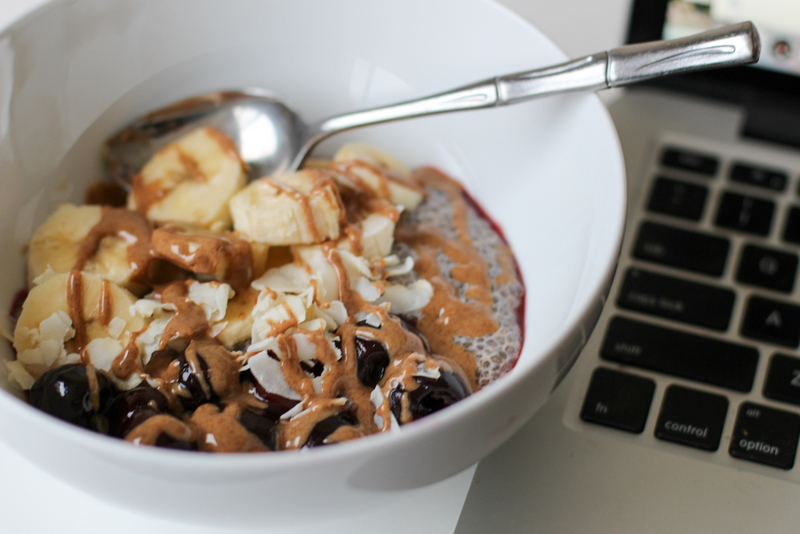 Stir in the morning and top with bananas, frozen cherries, almond butter and/or coconut flakes. PS. You might also like Whole30 Egg Muffins and Whole30 Chicken Taco Bowl. This looks wonderful! Did you melt the almond butter to drizzle on top? I tried this once and ended up burning it, haha. Any tips? Hey Lacee, I didn't melt it at all! I got Trader Joe's Almond Butter that literally only has raw almonds in it… that's it! I think that's why it's runnier than other nut butters you might have tried. If you don't have a TJ's near you, just look for one with only almonds and it will probably have a similar consistency!